It has been too long since I’ve posted anything! 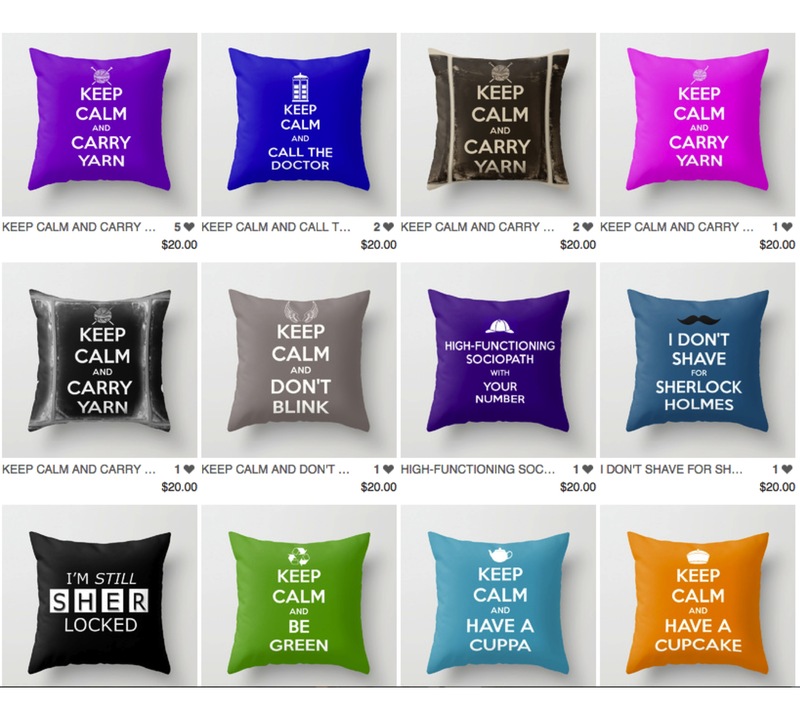 I’ve been busy adding new designs to my Society6 store — take a look at the pillows below to see the designs I’ve recently added — and working on some other projects. I’ll be one of 10 artists and artisans participating in a Spring Boutique this weekend. Here are the details; I hope you can join us! Visit with ten artists and artisans as they showcase their latest creations, including fine art, jewelry, note cards, magnetic memo boards, photography, tote bags, fabric belts, vintage wallpaper creations, mugs, accessories for knitters/crocheters, and more. So, I finally did it — bit the bullet and started a blog. Why have a blog? I feel like it’s the best way to tie together all the different things I’m working on and thinking about. I love having my Etsy shop and store on Spoonflower. And posting on Ravelry, of course. But I wanted a place that’s more flexible than any of them, where I can talk about all of them, and more. This is that place. The thing I’m most excited about right now is my new line of fabrics inspired by the BBC Sherlock series. 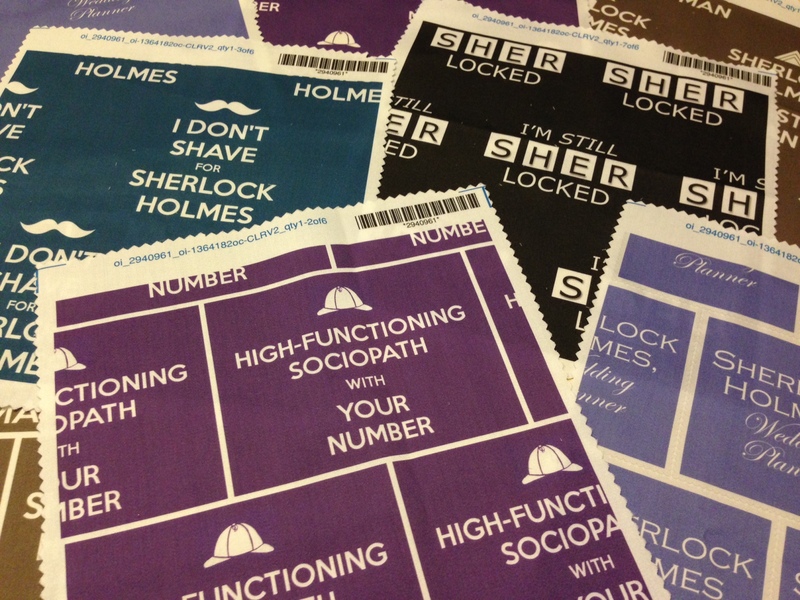 I call it Lovin’ Sherlock and you can find it on Spoonflower. Let me know what you think of the prints. If you’d like one of them in a different color, or at a different size, just let me know, either here or on Spoonflower. I love to collaborate to come up with new variations!